Let’s face it. In this day and age of hackers running rampant on the web it is essential for everyone to do the best to protect themselves and their computers. Surfing the internet without an anti-virus or any kind of protection is not only crazy, it is outright dangerous. In fact, doing so can be compared to you leaving your home or apartment doors wide open – without any locks – and then going to work or on vacation. Still, anti-virus programs can be expensive to purchase. This is even more so if you have several computers or devices to protect. Luckily, there are many companies out there offering internet protection for no charge at all. 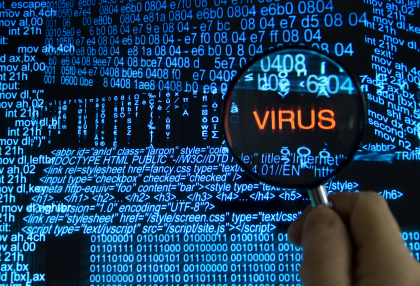 These 7 top anti-virus programs for free are some of the very best out there. And they won’t cost you a dime to use on your device. Other programs will ask you to install browser extensions and free toolbars. However, they are both not recommended and you should avoid doing so. For one, most anti-virus extensions never really offer any additional functions that you don’t already have. Secondly, the browser toolbars only serve to collect your personal information. In turn, the advertiser will sell that info to others. Lastly, these extensions and toolbars can end up slowing down your devices. Keep that in mind since this is the price you pay for something free. With an easy to use interface and several useful tools to help you protect yourself from hackers, Avast is a great free anti-virus program to install. You can use for it either Windows or Mac. Avast Antivirus only uses a small level of system resources as well. This is very important since it will not slow down your PC, computer or laptop. Avast Antivirus also has a 99.6% protection rate which is pretty high for a free anti-virus program. The ZoneAlarm Free Antivirus software comes with many of the features found on most paid programs. It also has a basic free firewall as extra protection. ZoneAlarm has been around for many years now helping deter hackers and other internet intruders from stealing your info. Unfortunately for Mac users, ZoneAlarm only works for Windows OS. ZoneAlarm Free Antivirus also has identity protection to help you protect your personal data. Although it is rather basic, it is still good to have. Avira antivirus software has one of the highest protection rates on the market for most Anti-virus programs. At 99.9%, Avira antivirus program offers users solid and complete protection. However, those results came from the pro version of Avira. Still, the free version still delivers a great amount of firepower and protection. You can do scans on your devices to check if any virus or malware has infiltrated your computer. Another solid performer in the world of internet protection is the Lavasoft Ad-Aware Free antivirus program. In the pro version testing, Lavasoft’s pro version scored 99.3%. It is only available for Windows users though. Lavasoft is primarily focused on protection from anti-spyware and anti-adware. If you are one of those that detest both of those, then Lavasoft is great option. With its anti-fraud and anti-phishing features to keep you safe on the web, Bitdefender is a great tool in the fight against hackers and malware. The pro version of Bitdefender garnished a 99.9% rate of protection. While the free version may not do as well, it is pretty impressive for a tool that won’t cost you a dime. Plus, the interface is user friendly and easy to use. For surfers of the internet who hate malware – and who doesn’t? – the Malwarebytes Anti-Malware program is a must have. Malwarebytes has been around for many years now helping users defeat web annoying malware. The main focus of the program is getting rid of any adware you may have on your computer. One downside is that you will only get manual capabilities and no real time protection from Malwarebytes unless you upgrade. Yet they do offer you a free 14 day trial to see and use all of those extra functions.